Washington Governor Jay Inslee is openly considering launching a 2020 presidential bid, and he thinks campaigning on a carbon tax is his ticket to success. Yesterday, Inslee published an op-ed in the Washington Post, saying that he wants to lead “a full-scale mobilization” and a “national mission” on global warming. He drops standard left-wing talking points like the need for “100 percent clean-energy” and “new strategies and massive investments” to “decarbonize” industry. It might sound appealing, but the devil is in the details. As Governor of the state of Washington, Jay Inslee has been trying to force extreme environmental policies for years, and his signature proposal has been a statewide carbon tax. The word “tax” isn’t mentioned once in his op-ed, but if history is any guide, that’s exactly what Inslee wants. In 2016, Washington voters defeated a carbon tax ballot initiative. But Inslee wasn’t satisfied. He quickly proposed his own carbon tax proposal, which went nowhere. 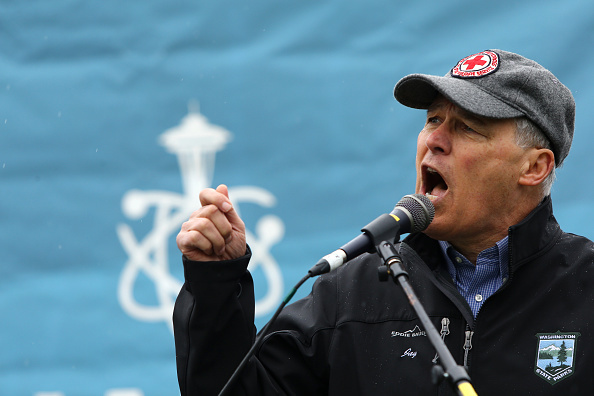 In 2018, Inslee doubled down again, urging lawmakers to back his plan to tax fossil-fuel emissions. He “implored” legislators, to no avail. In the 2018 election, Washington voters rejected a carbon tax by double digits. Washington voters have seen Jay Inslee’s carbon tax agenda up close for years, and every step of the way they’ve rejected his dangerous vision that would raise electricity and fuel prices on everyday families. If Inslee’s extreme environmental agenda was unpopular in deep-blue Washington State, it’s even less popular nationwide. When Jay Inslee tries to sell slick talking points in the Washington Post, look to his record in Washington State to see what he’s really offering. It’s not pretty.